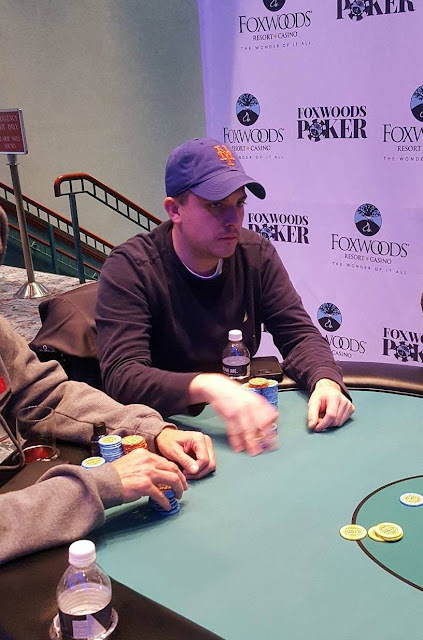 The three final players all had very close chip stacks so they have decided to do an even three way chop and play one hand all-in blind for the trophy. JeWook Oh, Seunghwan Lee, and Steve Berkowitz will all take home $53,350. The dealer first ran the board out before any of the players looked at their cards. The board came Q♦7♥7♠9♠J♣. Steve Berkowitz was the first to look and turned over the A♦. "Come on queen," Berkowitz says. He then turns over the Q♥ much to the surprise of all three players, leaving Berkowitz with two pair, queens and sevens with an ace kicker. Next to look was Seunghwan Lee who quickly turned over 9♣5♣ for two pair, nines and sevens. JeWook Oh is last to look. He first peels the 10♦ and says, "Oooooo, straight potential." 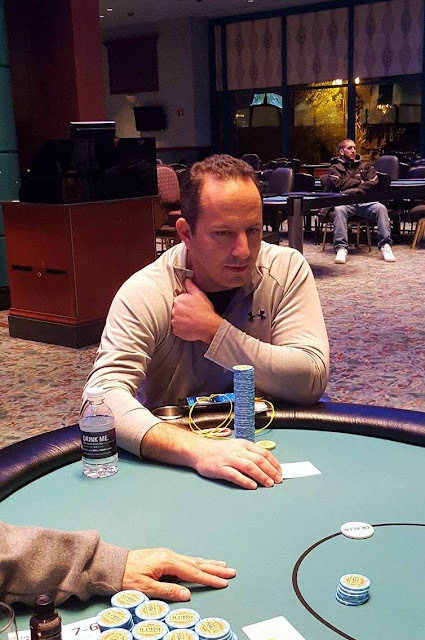 But it's the 6♣ he turns over next meaning that Steve Berkowitz is awarded the trophy. Congratulations to all three players on a well played match. Kyle Carey shoves all in for 551,000 from under the gun and Steve Berkowitz calls on the button. 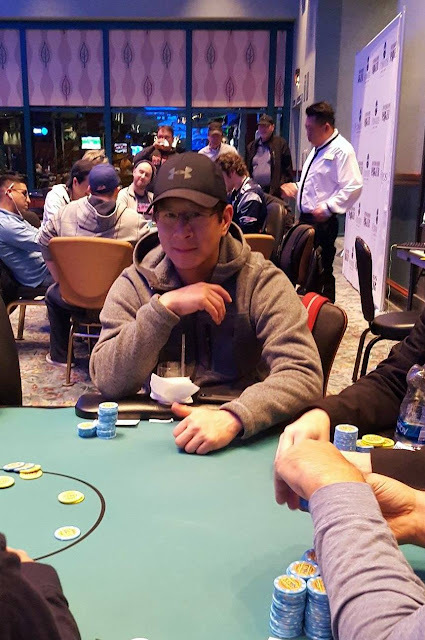 Senghwan Lee looks down at his cards in the small blind and announces that he is all in. 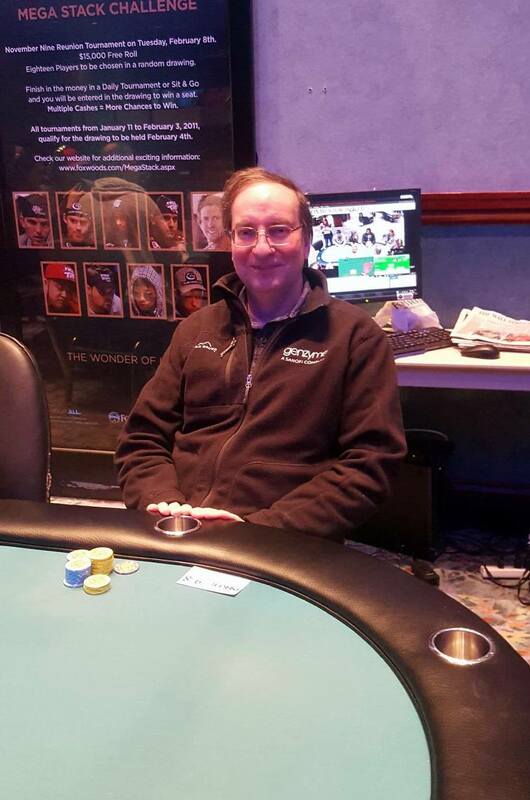 He cuts out his 1,200,000 in chips for Berkowitz to see, and Berkowitz pauses. "The math says I should call here," Berkowitz says. After another minute of thinking, Berkowitz opts to muck. "Did you have an ace?" Carey asks Berkowitz. He nods yes. 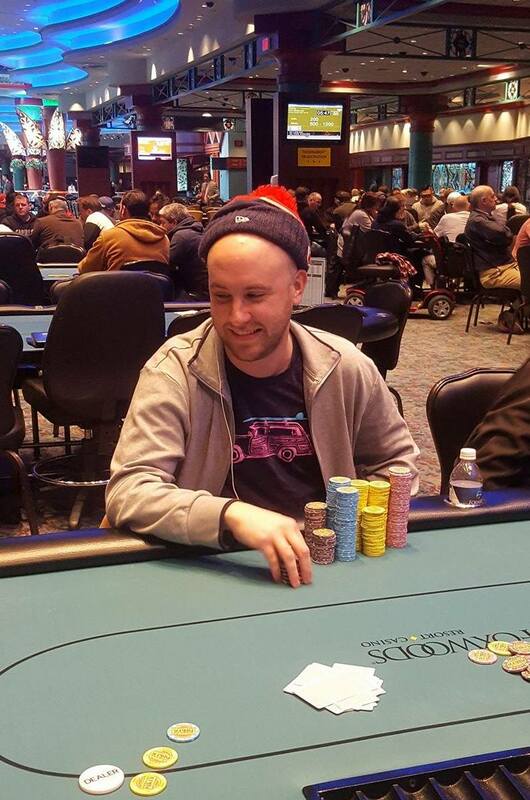 Carey turns over A♥8♥ and upon seeing Lee's Q♣Q♥ Carey says, "I am gonna need a flush." 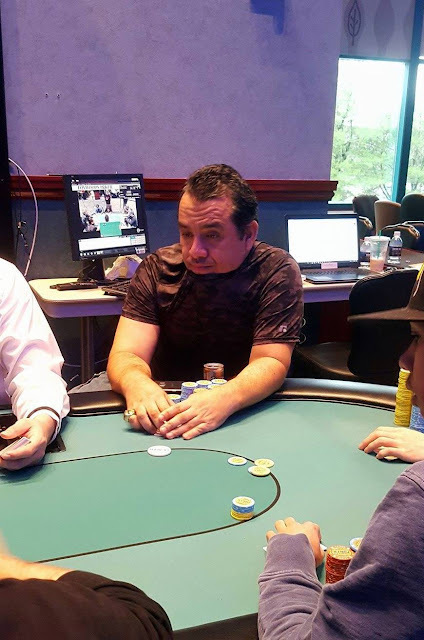 The board runs out K♥J♠3♦4♦8♠ awarding Lee the pot, and eliminating Carey in 4th place. 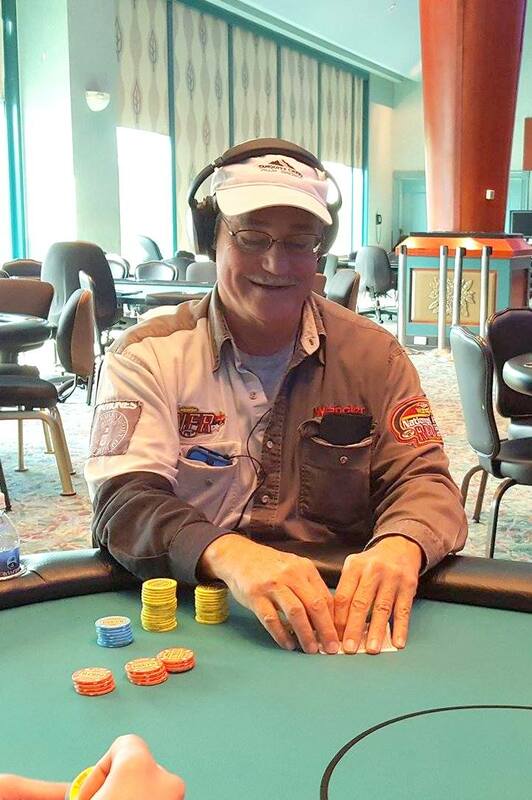 At one point on Day 2, Carey was down to half of a big blind, so to finish in 4th overall is quite the feat indeed. 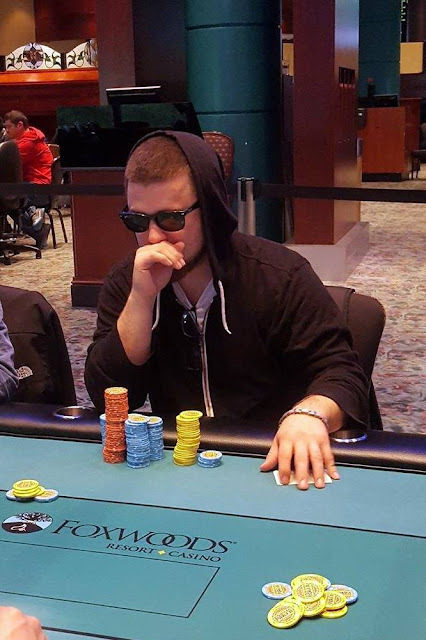 With around 200,000 in the middle and a board reading K♥Q♥8♥ Jovy Ounthongdy is all in from the big blind for around 500,000 and has been called by Steve Berkowitz in the cutoff. Ounthongdy is on a flush draw holding A♥9♠, and Berkowitz has flopped two pair holding Q♠8♣. 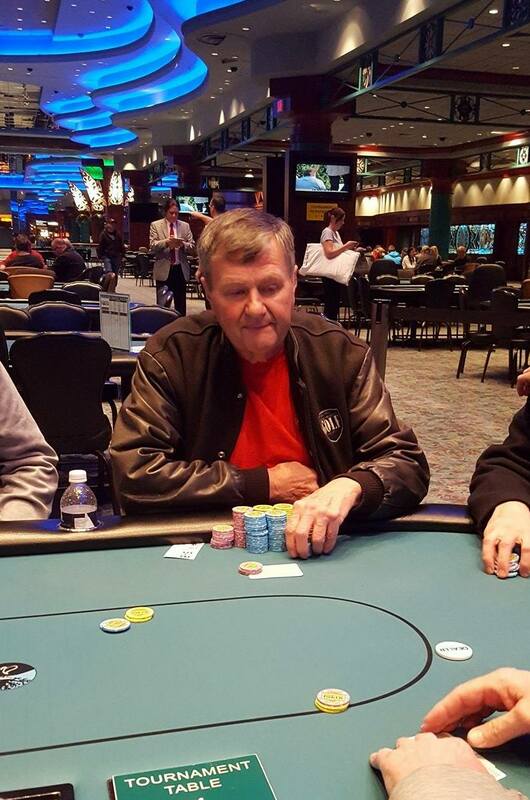 The 2♦ turn and 4♦ river does not bring any of Ounthongdy's outs and he is eliminated in 5th place, taking home $19,380. There were a total of 105 entries in today's Event #11, generating a prizepool of $21,231. The top 12 places will be paid and below is the breakdown of payouts. 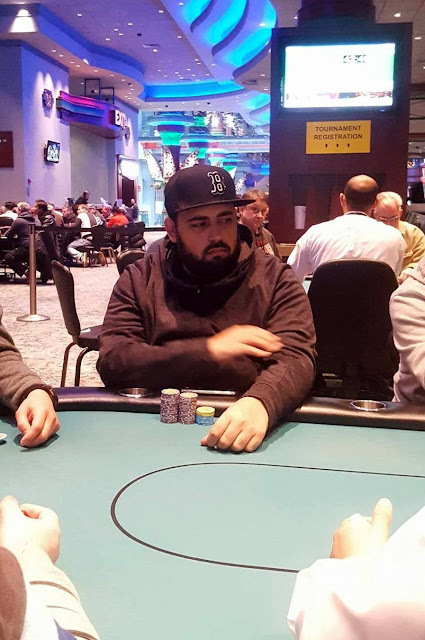 David Cossion shoves all in for less than ten big blinds in the hijack and Jovy Ounthongdy calls on the button. The blinds both fold. The board runs out K♠8♦2♥7♥6♠. 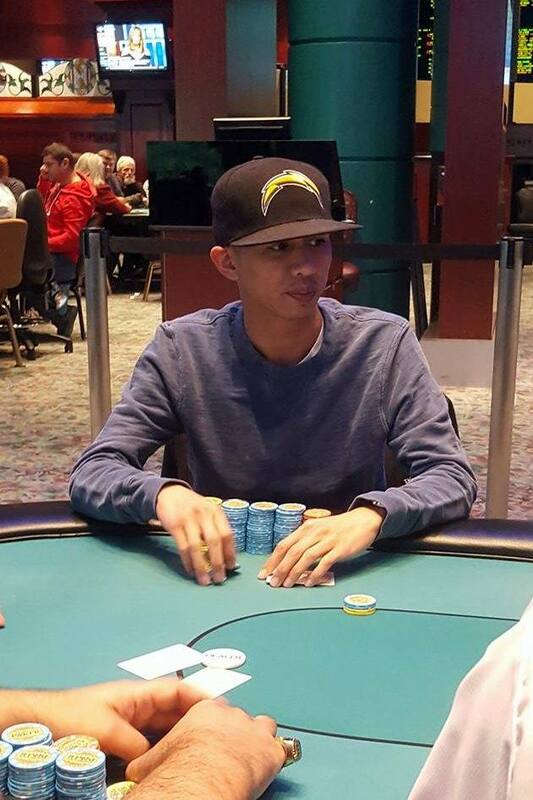 Ounthongdy's ace queen high takes the pot and Cossio is eliminated in 6th place. Here is a look at the final six players' chip counts upon return from the color up break. They will play another two levels (two hours) before their scheduled one-hour dinner break. 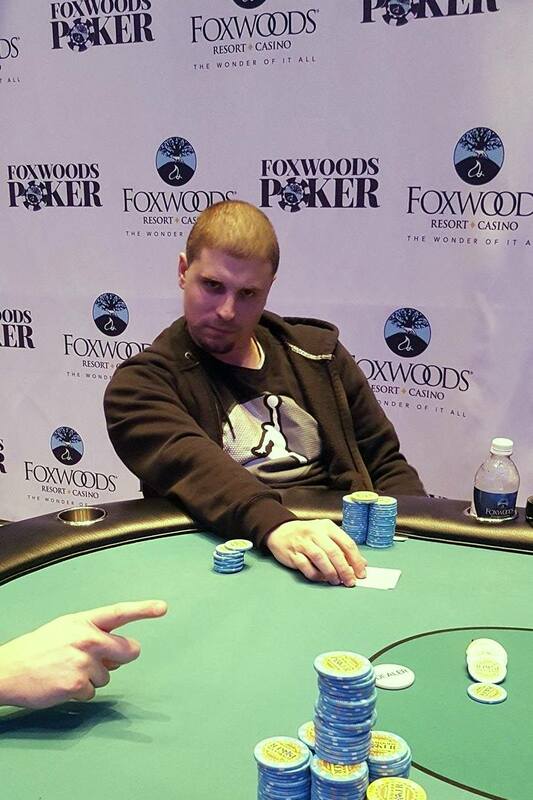 Jeffrey Yanchek shoves all in from middle position and JeWook Oh asks for a count on the button. The dealer tells Oh that 338,000 total and Oh folds. Jovy Ounthongdy snap-calls in the small blind, and the big blind folds. The board runs out 9♣4♠3♣7♦8♦ awarding Ounthongdy the pot and eliminating Yanchek in 7th place. 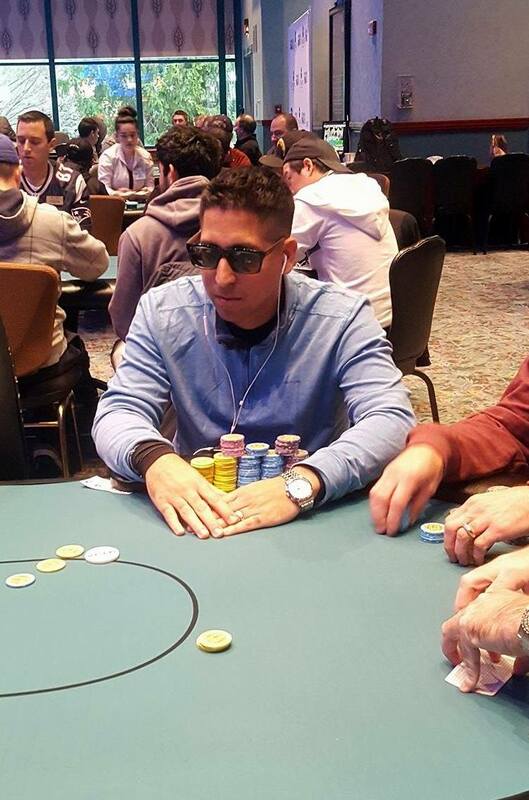 David Cossio raises to 60,000 from under the gun and Zach Donovan shoves all in from the cutoff for around 400,000. Cossio calls, and it becomes apparent that Donovan was not aware that Cossio had raised. "I thought I was open shoving," Donovan said frustratingly. 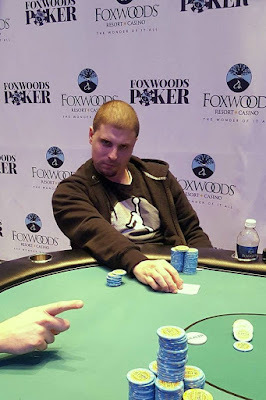 The board runs out 9♠6♦5♥J♣A♥ eliminating Donovan in 8th place. 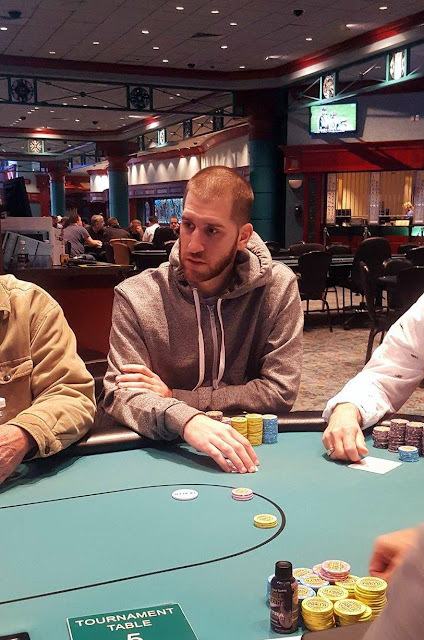 A few players at the table say, "He would not have done that had he known there was an open." Fred Paradis shoves all in from early position for around ten big blinds, and Jovy Ounthongdy calls in the big blind. The flop comes 9♦5♦3♣ increasing Ounthongdy's lead even further when he flops a set. The 3♥ turn gives Ounthongdy a full house, and leaves the K♣ river inconsequential, eliminating Paradis in 9th place. Facing a raise from Steven Berkowitz in middle position Michael Farris shoves all in from the small blind, and Berkowitz pauses for a minute before calling. The board runs out 10♠6♠3♥2♣8♣ awarding Berkowitz the pot and eliminating Farris in 10th place. 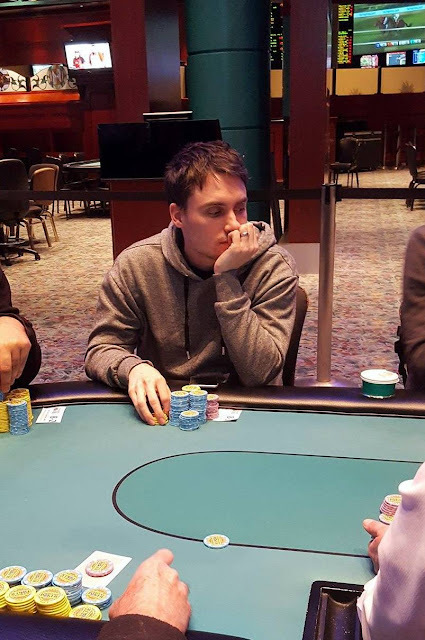 Patrick McConnell is all in holding 9♣6♣ and has been called by Michael Farris holding A♦9♥. 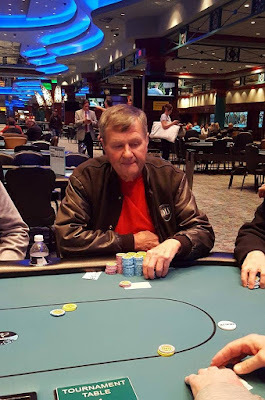 The board runs out K♠7♦2♥Q♠5♥ eliminating McConnell in 11th place. 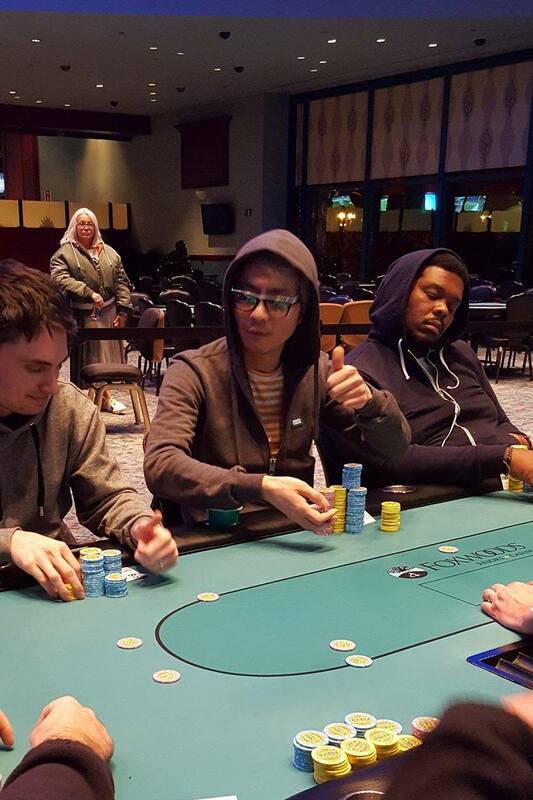 The remaining ten players will now redraw for their new seats at the final table. 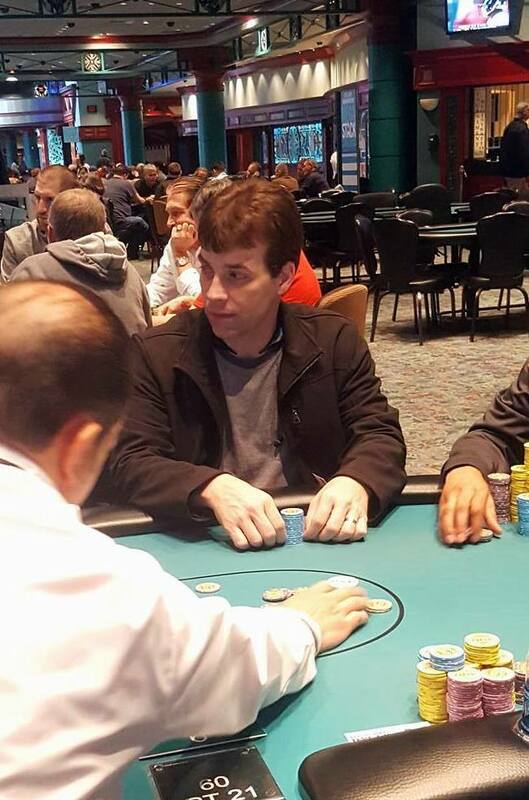 Jeffrey Yanchek raises to 36,000 in the cutoff and Patrick McConnell shoves all in on the button. 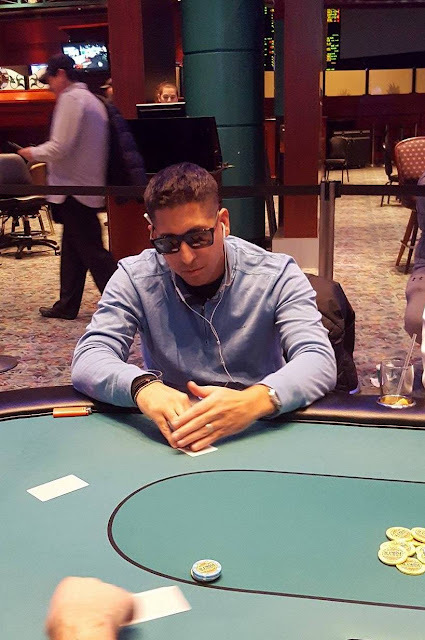 Yanchek calls and the players table their cards. 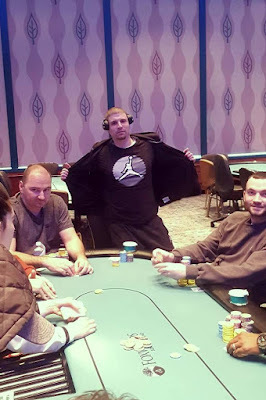 The flop comes 6♦5♥2♠ leaving McConnell well in the lead. He maintains that lead when the turn comes the 7♦ but it gives Yanchek a straight draw. 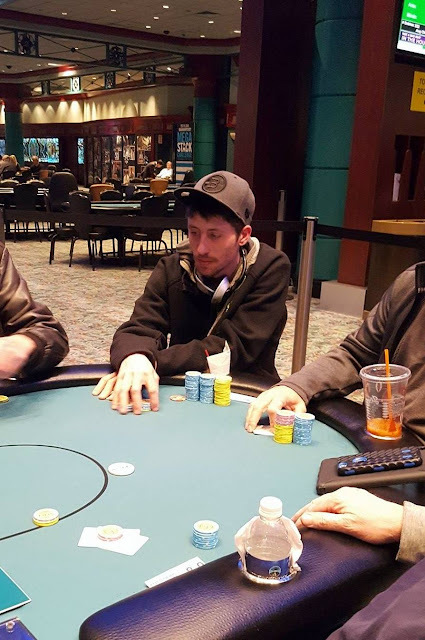 The 8♦ on the river brings in that straight, and Yanchek doubles up, while McConnell is left short.